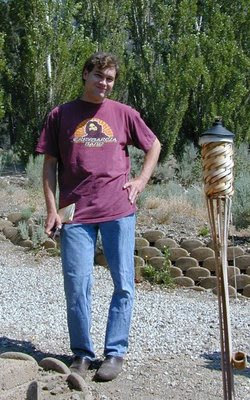 William (Will), who I met in Baja in 2005, relocated to Tahoe CA from the east coast recently. He admits California is awesome, especially the Sierra Nevada. This summer he is traveling & volunteering w/ the Rock the Earth crew. Check out their voice via the web site. Paid $4.39 @ Flying J on the Grapevine yesterday. Only $75 to fill up the old Isuzu Amigo. Maybe this tank full can last most of the summer if I am a good girl & walk or bike to the post office daily.